The Fourth of July is one of my favorite holidays. 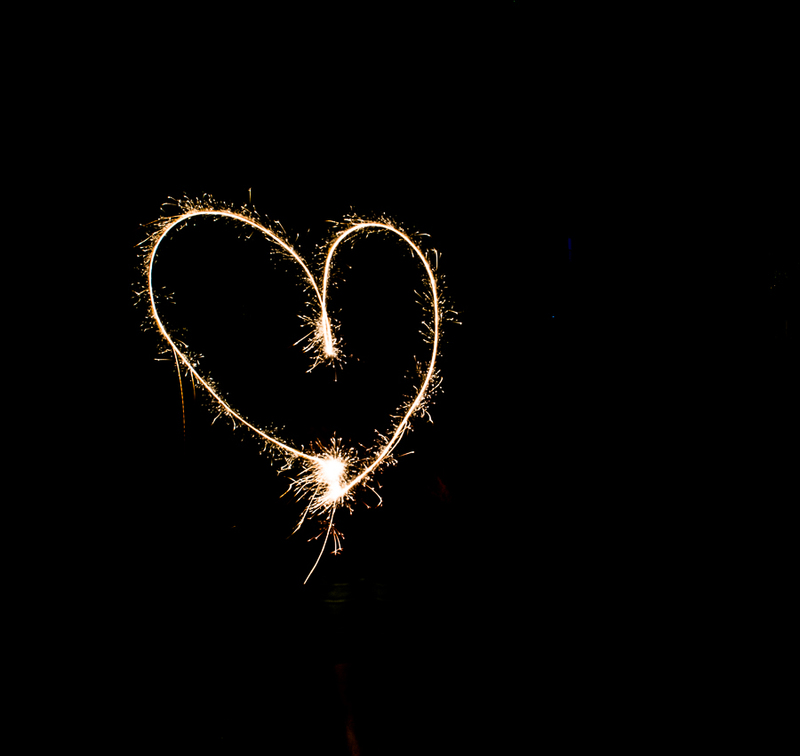 I absolutely love fireworks – I can’t get enough of them. My poor husband faithfully goes with me while I try to capture that one perfect image of the night – unless he can find a friend to go with me instead! 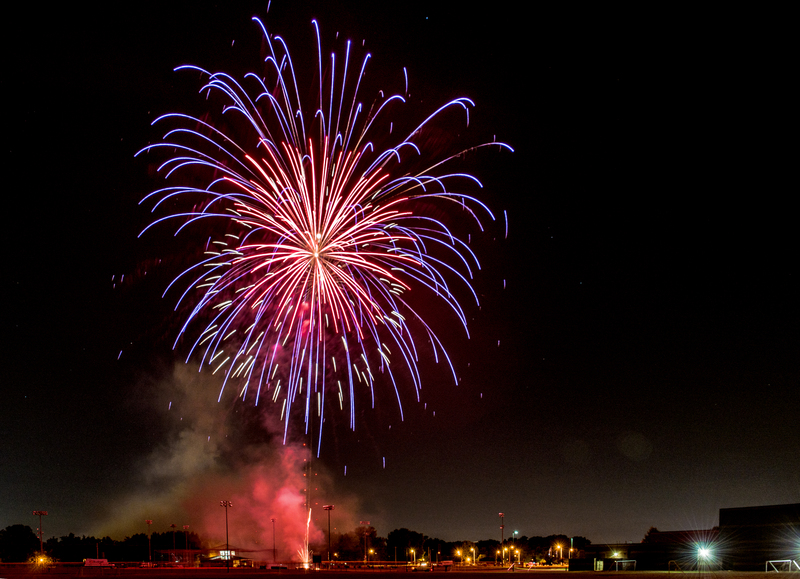 This year was a bumper crop of firework displays with over five events in our area. I managed to attend three of them using a different technique at each. One event I photographed using the “recipe” from the awesome Scott Kelby. (Check it out.) Another one I used the de-focusing technique. Open the shutter for several seconds following Kelby’s recipe and then turn the focus ring. You can get very interesting and unusual designs with this. And the third one was a method I had never tried before – using a black piece of cardboard over the lens while the shutter is open. What you do is set your shutter to open for a long time (again using the recipe) and remove the cardboard to capture a burst, then cover the lens with the board while the shutter is still open until the next burst, and then remove it once more. Repeat until you get several bursts in one frame. Unfortunately, that didn’t work out very well for me, but I will master this technique! 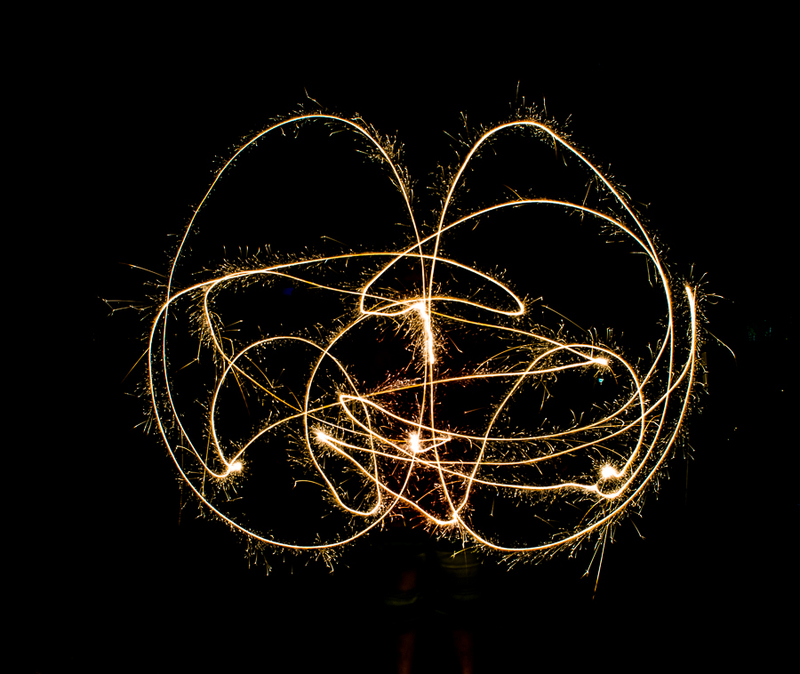 I also tried a little light painting with sparklers. The kids loved this! They would draw something and then run to look at the back of the camera to see what they drew! For those interested in my settings: I used a Nikon D600 with a 24-70mm, 2,8 lens. I wanted to capture as much of the scene as I could so I set it anywhere from 24-50mm with manual focus set at infinity. I has my ISO set at 100. My aperture was from f9-f11. I used a remote so I wouldn’t have any camera shake. I left the shutter open for varying times – anywhere from 2-4 seconds, maybe a little more. I just experimented. On the ones with the de-focusing trick, I turn the focus ring forward and back while the shutter is open. ← Do all those button and knobs on your DSLR intimidate you?